Play every day for a chance to win! 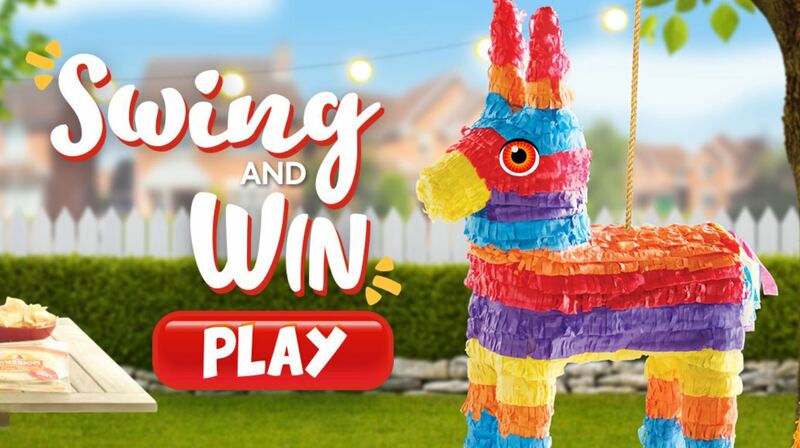 Mission Piñata Game (“Promotion”) begins at 9:00:01 AM Eastern Time (“ET”) on April 1, 2019 and ends at 11:59:59 PM ET on May 5, 2019 (“Promotion Period”). The promotion contains a game of chance (“Instant Win”). The computer clock of Administrator is the official time-keeping device in the promotion. The promotion is open only to legal residents of the fifty (50) United States and the District of Columbia (excludes Puerto Rico), who are eighteen (18) years of age or older at the time of promotion registration. PRIZES/PRIZE RESTRICTIONS: A total of Five Thousand, Seven Hundred and Twenty-Three (5,723) Instant Win Prizes will be awarded (one (1) prize per instant winner) during the Promotion as detailed below. The total ARV of all promotion prizes is $ $46,469.00. Limit of one (1) instant win prize, per person, per email address. All promotion prizes will be fulfilled approximately two (2) to three (3) weeks after winner verification. Take your chance to win a family vacation to Myrtle Beach for a family of four! Come back everyday for you chance to win a digital copy of the movie BUMBLEBEE too! 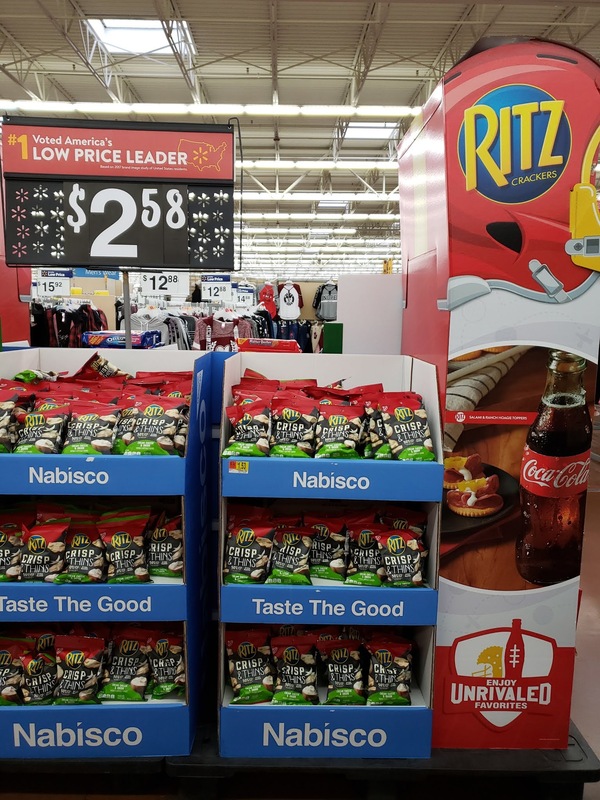 The Little Bites “Bumblebee” Visit Myrtle Beach Sweepstakes (the “Sweepstakes”) starts on March 17, 2019 at 12:00 a.m. Eastern Time (“ET”) and ends on May 3, 2019 at 11:59 p.m. ET (“Sweepstakes Period”). Sweepstakes is open to legal residents of the fifty (50) United States and the District of Columbia, excluding residents of Alaska, Hawaii, and 21 years of age or older as of date of entry. 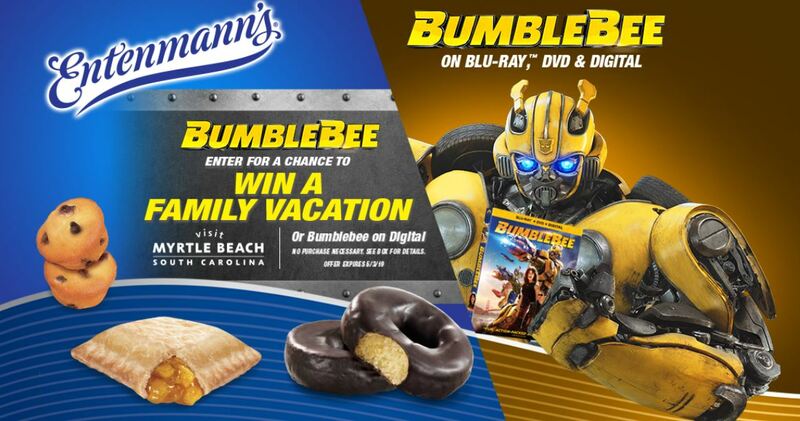 During the Sweepstakes Period, visit the Entenmann’s Little Bites & Bumblebee landing page at www.littlebites.com/bumblebee and follow the directions provided to complete and submit the registration form to receive one (1) entry (each, an “Entry”). Entries must be received by May 3, 2019 at 11:59 p.m. ET in order to be eligible. Enter once a day from 2/3/2019 to 2/18/2019 for a chance to win a brand-new 6-quart Instant Pot™. Winners will also receive recipe cards featuring our best kitchen-tested Instant Pot™ recipes! Only open to legal residents of the United States and the District of Columbia, who are 18 years of age or older and located within the United States at the time of entry. Void outside the United States and District of Columbia, and where prohibited or restricted by law. Twenty-five (25) Prizes: Each prize is an Instant Pot® pressure cooker. Approximate Retail Value (“ARV”) of each prize is $100.00. Total ARV of all prizes: $2,500.00. Odds of winning depend on number of eligible entries received throughout the Sweepstakes Period. Prizes are awarded “as is” with no warranty or guarantee, either express or implied by Sponsor. Prizes cannot be transferred, assigned, substituted, or redeemed for cash, except at Sponsor’s sole discretion. NO PURCHASE NECESSARY. Open to legal United States residents of the 50 US/DC/PR, age 18 or older at time of entry. Promotion starts on or about noon ET on 1/28/2019 and ends 11:59:59 p.m. ET on 5/17/2019. Prize consists of a trip to England, Mexico and Thailand. You could win a trip around the world. We’re sending one lucky winner and a friend on a whirlwind journey to Thailand, Mexico, and England. Want more chances? Come back to vote online every day and earn more sweepstakes entries! Potential winners will be notified by email to the email address provided by Entrant at time of entry, or other method, as solely determined by Sponsor. All prize claims are subject to verification by Administrator. For Official Rules, including how to enter, prize details, odds and other terms, click here. Void where prohibited. Sponsor: Mars Wrigley Confectionery US, LLC. © 2019 Mars or Affiliates. We know you’re already doing things EVERY DAY that make you feel your best. And we want to celebrate that! Tell us what you do #ToFeelGood and you could be one of three winners to receive $1,000 and a year’s supply of Sunsweet products! The Sweepstakes is open to residents of the fifty (50) United States and the District of Columbia, who are 18 years of age or older at time of entry. If Sweepstakes entry is on Facebook, Twitter or Instagram, entrants must have a public profile. All federal, state, and local regulations apply. LIMIT ONE ENTRY PER PERSON PER METHOD OF ENTRY. VOID WHERE PROHIBITED OR RESTRICTED. The Sweepstakes begins at 9:00AM (Eastern Time) on January 15, 2019, and ends at 11:59 PM (Eastern Time) on March 15, 2019. Three (3) Winners will each receive the $1,000 via a Visa Gift Card and a years supply of Sunsweet products valued at no more than $500. Four (4) lucky winners will receive a trip for four (4) to Minneapolis, Minnesota to play in our Celebrity Crunch Classic basketball game! 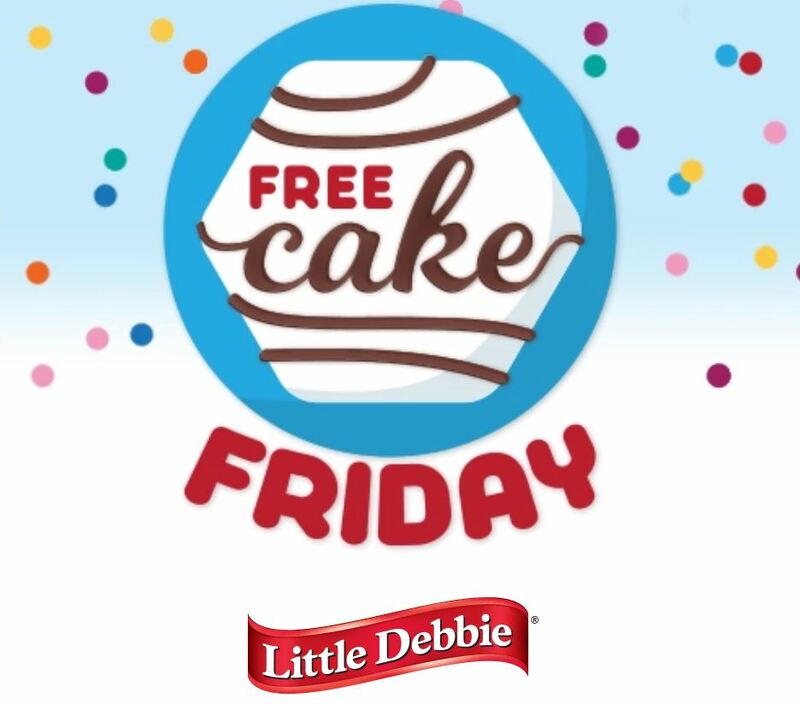 Enter to win a free case of Little Debbie® snack cakes (ARV $23.88-$37.08)! One (1) lucky winner will be randomly selected each Friday to win the Cake of the Month. Within five (5) business days after the end of each Weekly Giveaway Period, Sponsor will randomly select one (1) Prize Winner to win the Prize from all eligible entries received during that Weekly Giveaway Period (each, a “Prize Winner”). Odds of winning depend upon the number of eligible entries received. Birthday Cakes (ARV $35.04) – Giveaway Periods – 2/4/19 thru 3/1/19. Taxes, if any, on the Prize are the responsibility of the Winners. 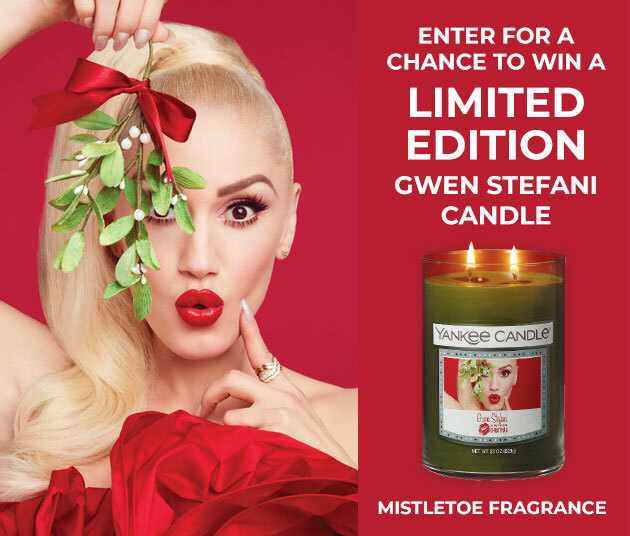 A Holiday Video Message from Gwen on a Gwen Stefani Deluxe Photo Label with Video Candle. The Sweepstakes begins on November 9, 2018 at 12:00:01 AM Eastern Time (“ET”) and ends on December 2, 2018, 2017 at 11:59:59 PM ET (the “Sweepstakes Period”). The Yankee Candle Gwen Sweepstakes (the “Sweepstakes”) is open only to legal residents of the 50 United States, District of Columbia, Canada (excluding Quebec), Villages Deerfield and Williamsburg who are 18 years of age or older (or 19 and older fore residents of AL or NE) at the time of entry, and who at the time of entry and through the completion of the Sweepstakes (a) have internet access, (b) have an email address (which must remain the same throughout the Sweepstakes.